Ever since we moved to Kepong, I have been excited about looking for new food to try in Kepong. With Mimi who has already reviewed so many places in Kepong, I definitely can't say, that there is not enough eateries to try, infact the Metro Perdana area has so many eateries mushrooming, we did not know where to start. So one night we were driving around the area, when we spoted this place. It looked really interesting so we parked our car (parking is usually not a problem), and walked in. 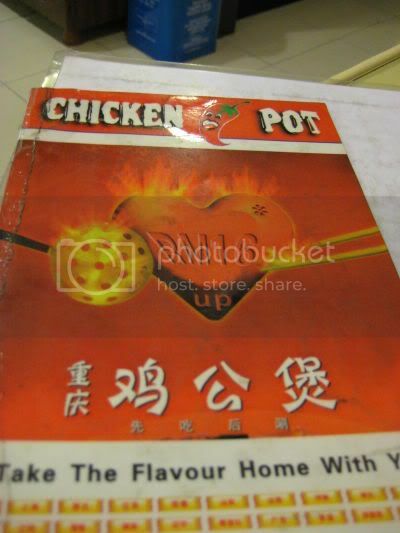 This chicken hot pot concept originated from somewhere in China, and it serves chicken, pork ribs and dinosaur ribs, on a hot pot. 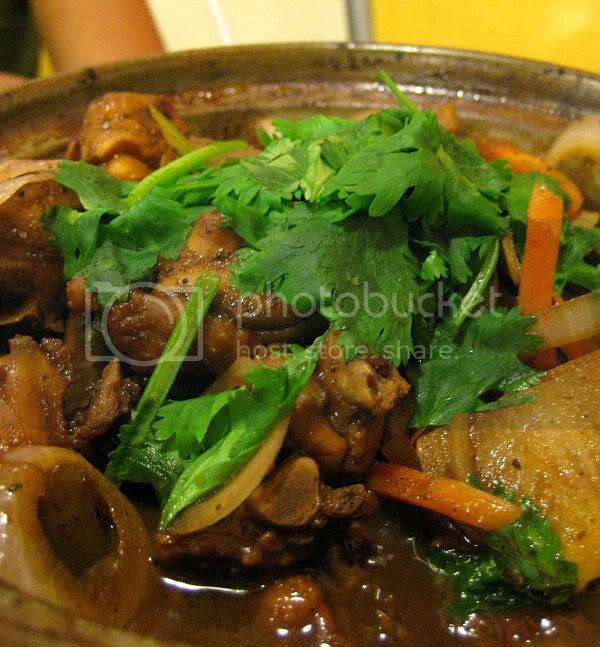 We also have the choice of eating with a spicy or extra spicy gravy, and served in a claypot with fire underneath it. We tried the chicken and dinosaur ribs that night. 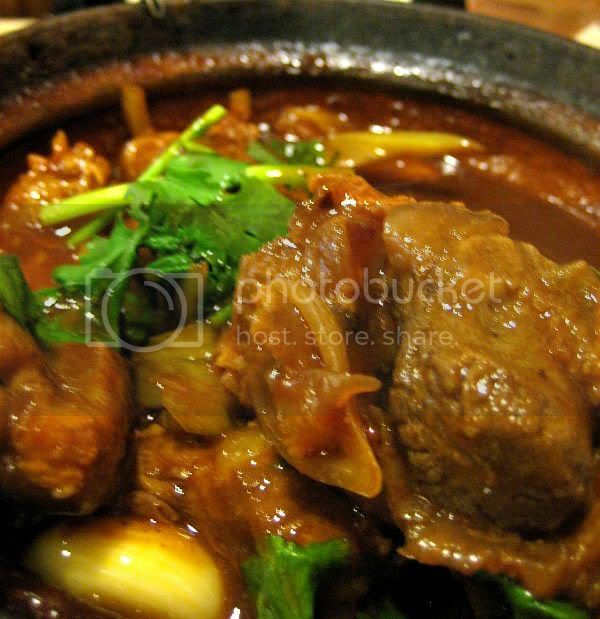 To sum up it was just very much like a pork rib stew in spicy gravy or a dinosaur rib stewed in spicy gravy. We were both very disappointed, and was looking for something really special, but it wasn't. If you were to take it as a fast food, I guess its not that bad, and if you like the spiciness of the hot pot, you will love it. Enjoy your 'feast' in this little neighborhood! My colleagues are all so obsessed in it and we always go there for our lunch almost every month! christy - thanks !! this hood aint that small, but gotta say lots of food!! benghan - :D whoa - every month ah... what's like really good to eat over there ?